Tallahassee's Mission San Luis hosted its yearly Blessing of the Animals on Saturday, Oct. 6. The ritual dates back to St. Francis of Assisi in the 13th Century. 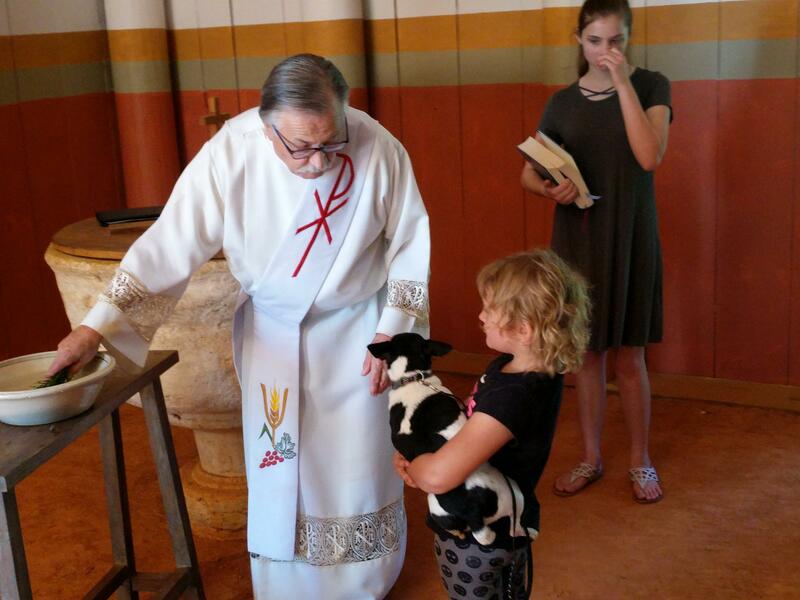 A young Mission visitor seeks a blessing for her puppy. There was a long line of pets and their people in the Mission's church awaiting their share of divine grace. Mission volunteer Breeann said business was brisk. "Just in the first hour, we had dogs, cats and a turtle," she recalled. Jessica and Joe brought their dogs "Spinya" and "Siegfried." Did the blessing seem to make a difference? "You know, they seem much calmer than they were 10 minutes ago," laughed Jessica. Meanwhile the Mission walkway was lined with several animal rescue organizations whose homeless dogs and cats were also hoping for a little bit of divine intervention in their search for a forever home. People have been observing the Winter Solstice for nearly as long as there have been people. 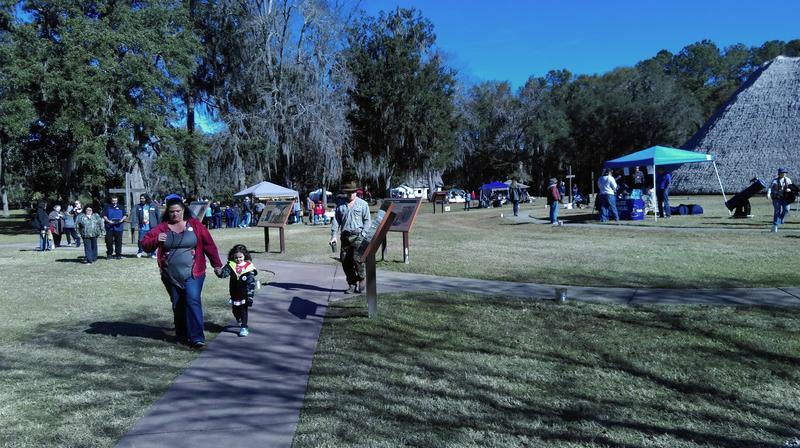 Tallahassee's Mission San Luis was marking the ancient occasion on Saturday and Sunday (Dec. 16-17).